At Accurate Window Cleaning & Pressure Washing, we have nearly 40 years of experience faithfully serving the Manhattan Beach, CA community. Hiring a cleaning service to keep your home or office spotless and organized on a regular basis can benefit you in a variety of ways. At Accurate Window Cleaning & Pressure Washing, we know people tend to function and feel better in a tidy environment, so we're proud to offer meticulous cleaning at competitive prices to the residents of Manhattan Beach, CA. We hire only high-quality, detail-oriented employees who are attentive and care about your satisfaction with their services. If you're ready to invest in cleaning services for your residential or commercial property, then get in touch with us today so that we can tell you more about the wide variety of ways that we can tidy up your space. Bird Masters LA, Inc. Is a family owned business providing affordable, effective, professional window cleaning and pressure washing services. commercial and residential. Over 20 years of experience. Blue Diamond Window Cleaning and Pressure Washing Inc began in Orange County, CA in 1995. Moving to Menifee in 2011, we now service the greater Temecula Valley area and North San Diego. Our growing regular customer base along with our word of mouth referrals are reflective of our commitment to providing impeccable service and quality work. 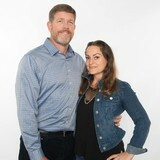 We are a family/veteran owned and operated business that is fully licensed, bonded, and insured. We are the premier window cleaning company local to the Newport Coast and surrounding areas. Specializing in residential and commercial windows and screens of all varieties and sizes. professional window cleaning, pressure washing, gutter cleaning and screen repair services. 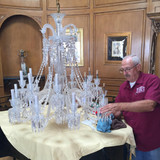 We have been cleaning windows in LA for many years, doing houses of any size. With 5 star rating on Google & Yelp we strive for customer satisfaction. 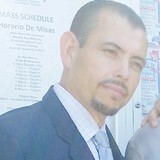 The owner of the company moved here from Canada many years ago where he carried out his profession. Now more dedicated then ever the company has grown to 6 man active growing crew. Our business is family owned and operated. Having been established here in Orange County for over 30 years shows that our reputation is a real priority. Good relationships keep us operating, and good referrals keep us growing. Our goal is to fully satisfy our customers by giving them a smooth experience so they will call us back year after year. Privately owned and operated. We provide professional window cleaning services to clients throughout the South Bay area. 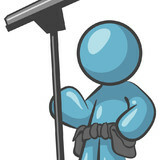 We provide window cleaning, pressure washing and house cleaning. We’re a professional Window Cleaning Service that’s proud to offer our services to clients throughout Orange County. Great service begins and ends with experienced and friendly professionals, which is why we put so much consideration into selecting the best people to join our team. We aim to not only meet your needs, but also exceed your expectations of what a dependable Window Cleaning Service can be. 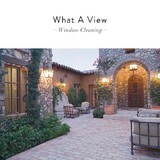 What A View is a full service maintenance company located in Orange County California. We provide second to none window cleaning, carpet cleaning, maid and janitorial services and construction clean up. We us the latest technology to give your home or office beautiful shine that will show pride you have where you live or work. We offer pressure washing, screen cleaning and repair, gutter cleaning, and floor cleaning. We are the ONE COMPANY that can take care of all your home, janitorial and commercial maintenance needs. Squeegee Pro is providing quality Cleaning service for window and gutter in Orange County and nearby areas. Call us today for classic professional work. Squeegee Pro is a family owned company, providing Window and gutter cleaning and pressure washing service in Orange County and it's nearby areas for the past 21 years. When it comes to quality and precision, no one is better in this area. Squeegee Pro is fully insured, and our workers have proper training. Thus we ensure the quality of our work. Make a call today. Feel free to ask any questions. T&S Window Screen Repair and Window Cleaning is Orange County’s best value for mobile screen services and window cleaning. We are a family-owned and -operated, fully licensed mobile window screening and window cleaning company that serves residential and commercial clients throughout Irvine, Orange, Yorba Linda, Huntington Beach, Mission Viejo, Fullerton, and surrounding cities. Our services include window/door screen repair, rescreening, screen door installation, window cleaning, solar panel cleaning, and power washing. We sell and install custom aluminum screen doors, sliding screen doors, and disappearing screen doors designed to compliment the look of your home and provide the appropriate security and/or privacy that you’re looking for.